From Donna Kakonge who has been developing websites since 1998. Let me help you make money from the comfort of your home with a minimum investment price. I can also help you with brick and mortar businesses as well. Your payment also includes unlimited pre-arranged Skype calls and email responses. Please pay upfront before any work will be done. You can email at donnakakongebusiness@gmail.com with any questions. On the first day of Christmas, you may give the true love seedlings that you can find for under $5 CDN to grow a pear tree. They may need to buy their own partridge you can note on the card. On the second day of Christmas, two turtle doves can be costly, but two bars of Dove soap is handy and practical. If you look for them on sale, you will only be out a maximum of under $10 CDN. On the third day of Christmas, three eggs from a French hen is something you can probably get for free right out of your own fridge. Just caution your loved one to handle with care. If they are a vegetarian, you might want to remind the person to keep stored in a cold place. If for your pet, they make for a good source of protein if your pet likes human food. On the fourth day of Christmas, calling birds to remind me of calling cards, which always come in handy. Ask around amongst people who use them to find out some of the cheaper places to go to get good ones. I’ve heard that in Toronto places around Spadina and Dundas Streets in Chinatown are great for getting calling cards. This may be one of your more major expenses among the 12 days unless you buy three $5 CDN cards which would give you at least half an hour of chirping, even on the other side of the world. Okay, the fifth day – five golden rings can be expensive even if you buy them at a pawn shop. See if you can find your true love five plastic rings at The Dollar Store in the children’s department that are the colour of gold. You can suggest they put it on their keychain for decoration. On the sixth day of Christmas, this is a time where you can use your creativity. Again at The Dollar Store, you can buy art supplies and draw “six geese a-laying.” You can even buy a dollar store frame for it and the whole thing should cost you about $3 CDN for the paper, art tools, and frame. For the eighth day, I will interpret “eight maids a-milking” as meaning barmaids. Take your true love out for a drink (in time for them to get the liquid out of their system) and order eight glasses of milk for them – hopefully one at a time. Nothing says in the rules that there’s anything wrong with chocolate, strawberry, mocha or other flavours of milk. It could even be goat’s milk if the restaurant serves that. It could also be cheaper to stay at home and buy a jug or carton of your love’s favourite milk, put an apron on and pour the eight glasses – imagining you’re a barmaid for a night. What you do after that is up to you. On the ninth day of Christmas, rent Moulin Rouge or Chicago, under $5 CDN, for your loved one and play a game where you can see at least nine ladies dancing. On the tenth day of Christmas – this is a moment where you and your loved one can huddle around your computer. For the low cost of your Internet connection or free connection, you can visit www.lordofthedance.com and enjoy video clips of Michael Flatley’s Celtic dance and “ten lords a-leaping.” You can make a game out of this as well and count them in the video clip. If you want to see the whole performance which has sold out all over the world, check out your local video store. On the eleventh day, you will need to do some planning. Check out your TV Guide or online one and see what HBO or Bravo in Canada is scheduling for that day that includes an orchestra. You will find at least “11 pipers-piping,” there is entertainment for the low cost of your monthly cable bill. If you’re not home at the time it airs, remember VCRs? You may even be fortunate enough to have a recordable DVD player – I hope you got a deal on it. Last but not least, the 12th day – where you have “twelve drummers-drumming,” is a wonderful time to introduce some music into this art of seduction. I would suggest anything Aboriginal or African where drums play a key role in a lot of the music. I will leave the selection up to you, but if you buy something you like for your true love at a second-hand CD shop, or download something from the Internet onto your IPod, you’re looking at a price anywhere from $10 CDN to free. All other areas and parking offences will continue to be enforced. Nature WavesTM Is Relocating Business To Accommodate a growing clientele. Where: 1401 Ellesmere Road Unit 102 When: On April 9, 2019, My email Nwaves90@hotmail.com and phone. number 647-781-8932 remains the same. Many many Thanks and Gratitude! Looking forward to seeing you and to continue providing the best quality service at our new location! Sunday, April 14th: 10 am – 5 pm WE CAN’T WAIT TO SEE YOU! , World Vision is a Christian relief, development and advocacy organization working to create lasting change in the lives of children, families and communities to overcome poverty and injustice. Inspired by our Christian values, World Vision is dedicated to working with the world’s most vulnerable people regardless of religion, race, ethnicity or gender. – ‘Moving Beyond The Superman Solutions Part II: The Powerful Potential of Schools, Families, and Communities Working Together for Quality Education for All Children’ with Enid Lee. This session will be held on Thursday, January 27th, 2011 from 5:30 p.m. – 7:30 p.m., OISE Library. 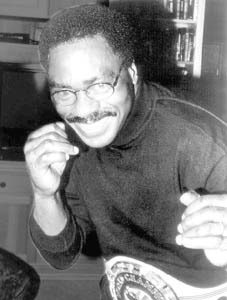 – ‘Eye of the Hurricane – My Path from Darkness to Freedom’ with Dr. Rubin “Hurricane” Carter. This session will be held on Friday, January 28, 2011, from 6:30 p.m. – 8:30 p.m., OISE Auditorium. I came across this book for three dollars at a Lebanese restaurant in the McGill ghetto of Montreal. It was worth every penny, and proves that you can find good books for affordable prices.